We at Swedes in the States love everything Swedish. Therefore, we were really excited when we heard about Sweet Kardamom and decided that we wanted to know more. 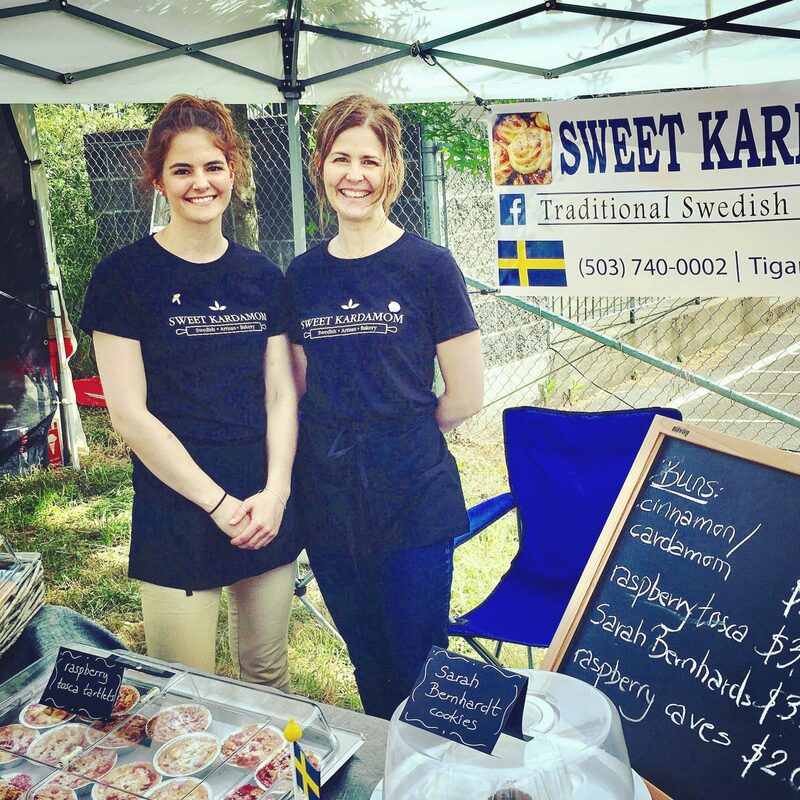 Sweet Kardamom is a Swedish-American, mother and daughter baking team. Located in Oregon, they specialize in traditional, authentic Swedish bread and pastries. Their philosophy is simple: create quality products using quality ingredients. Everything is made from scratch, using real butter, real eggs, and fresh dairy products. Meet Margareta and Jennifer, the creators of Sweet Kardamom. Margareta was born and raised in the small and picturesque town of Kungshamn, on the west coast of Sweden. She moved to Munich, Germany with her husband in 1989, where they lived for 6 1/2 years, and where Jennifer was born in 1996. Jennifer is one out of five siblings, the three oldest ones were born in Germany, and two youngest in the United States. Margareta and her family moved to the U.S. when Jennifer was only a few months old. Why did they decide to start Sweet Cardamom? The answer is quite simple, they missed Swedish pastries and bread. Like so many other Swedes that have moved abroad will agree with, the pastries and desserts from Sweden are one of the things that are missed the most. Because of her longing for Swedish pastries, Margareta told her daughter that they should start baking and selling their own cinnamon buns instead. The duo started out by selling their baked goods at local farmers markets in their neighborhood this summer. The response was, from the very start, outstanding. Everyone, both Americans and other international expats loved the Swedish cinnamon buns from Sweet Kardamom. When attending two local Midsummer Fest’s in Oregon, they sold out within just a few hours. The crowd simply couldn’t get enough. Today, Sweet Kardamom rents a spot in a commercial kitchen once a week and are baking on private orders. Margareta lets us know that customers usually order through their Facebook page or calls them ahead of time. As of right now the baking queens are preparing and planning ahead for the Scandinavian Christmas Fair that takes place the first weekend in December. 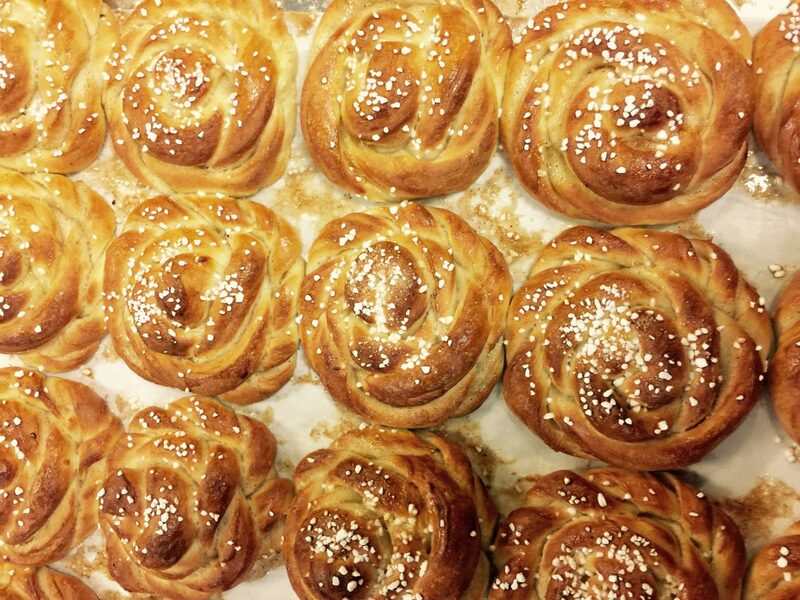 The cardamom buns are the number one of their bestsellers. 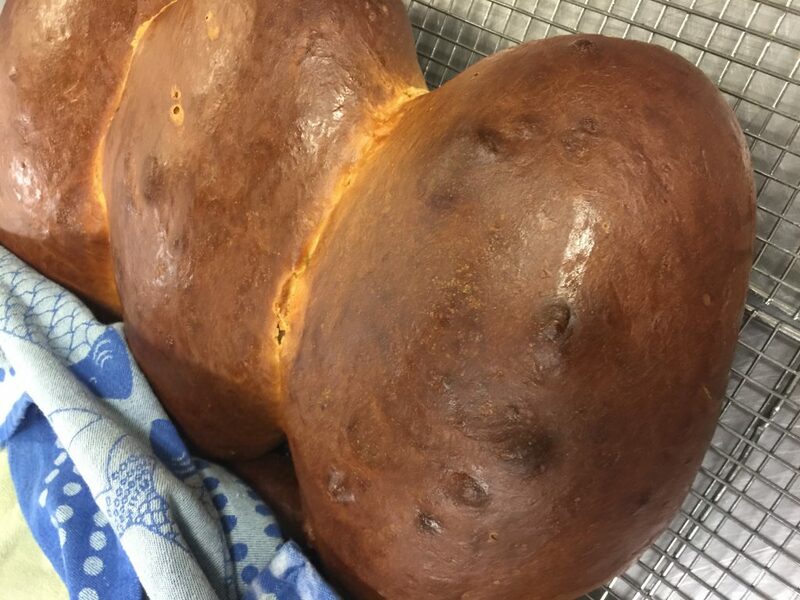 However, they recently added Swedish Limpa to the menu, and that has been very popular too. Not only does the Swedish customers love it, but Americans seem to appreciate it too. What’s most rewarding for Margareta is to be able to work and do something together with her daughter. As a matter of fact, one of her other daughters is also included in the project – she’s the one who keeps their social media channels up to date. Margareta also says: “Meeting so many new people and hearing their stories. There are a lot of Americans with Swedish roots, who will tell us their stories about how we remind them of their grandma’s baking for example, and how happy they are to have found us. Makes it extra fun and rewarding”. We are thrilled to let you know that Sweet Kardamom has given us the permission to post one of their recipes. So stay tuned for that! In the meantime, you can follow Sweet Kardamom either on Facebook here, or on Instagram here. Sara is from Kungsbacka, outside of Gothenburg and is living in New Orleans with her husband and dogs. She moved there in 2016 after she graduated with a BS in media and communication from Jönköping University.